Mercury is extremely damaging to the environment, bio-accumulating and bio-magnifying throughout the food chain. It is widely recognised by the scientific community that reducing anthropogenic mercury entering into the environment is a critical issue. 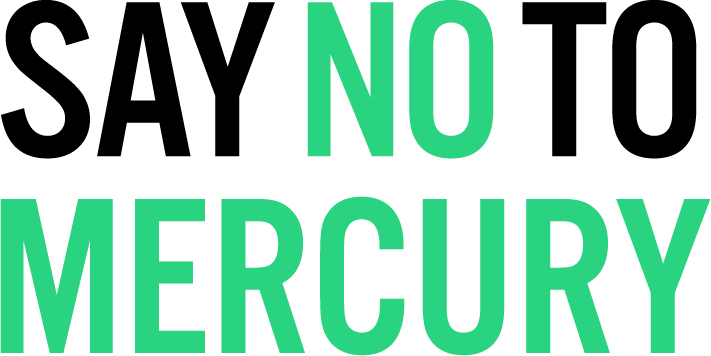 Mercury can travel extremely far in the air and the water, making any form of mercury pollution a global problem. Humans and animals alike are vulnerable to harm wherever mercury concentrates in the environment. Mercury readily bio-accumulates, the process where a substance is absorbed faster than it is excreted, leading to a build up of the substance in the animal's tissue.2 If mercury pollution levels are maintained then the mercury will continue to bio-accumulate in the organism, meaning the concentration of mercury is relatively higher in the organism than in the surrounding environment. The bio-accumulation property of mercury allows it also bio-magnify up the food chain.2 This is where longer living, predatory animals eat contaminated animals from lower food chain levels. The mercury then concentrates in the predator at a relatively high level yet again - with toxic effects compounding. Because of the chemical properties of mercury such as - methylation, bio-accumulation and bio-magnification, mercury is a very dangerous environmental toxicant even in very small levels. The video below explains the chemical and biological processes well. There is overwhelming evidence that mercury harms most animals it comes in contact with - and humans are no exception. Anyone who cares about their personal health, the wellbeing of their family and friends, and the natural environment must take the issue of mercury pollution seriously. In the long term, releasing mercury in the natural environment from human activity poses a huge risk to our health and the health of everything we share the planet with. 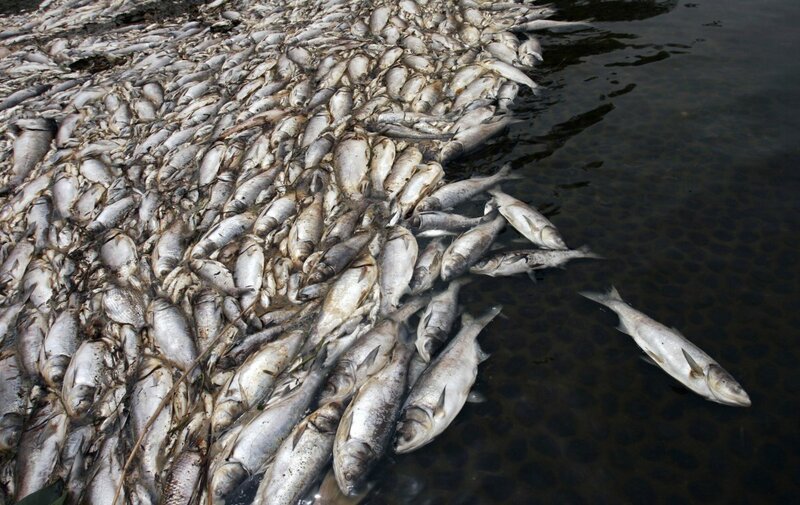 To learn more about the human consequences of mercury pollution - we recommend you read the Mercury And Health page here. L. E. Kerper, N. Ballatori, T. W. Clarkson., Methylmercury transport across the blood-brain barrier by an amino acid carrier, American Journal of Physiology - Regulatory, Integrative and Comparative Physiology May 1992, 262 (5). Krabbenhoft, D P., Rickert, D. (2016). Mercury Contamination of Aquatic Ecosystems. Geological Fact Sheet 216-95. United Nations Environmental Programme. (2013). Global Mercury Assessment 2013 - Sources, Emissions, Releases and Environmental Transport. Johnson, M., CASE STUDY: Brazil — Mercury contamination in the Amazon. International Development Research Centre. Krabbenhoft, D P., (2000). Mercury Studies in the Florida Everglades. Geological Fact Sheet 166-96. GBRMPA, Water Quality Guidelines for the Great Barrier Reef Marine Park: Revised Edition 2010. Fact File: Amazon River Dolphin, World Wildlife Fund. Salisbury, C. (2016). Amazon turtles imperilled by dams, mercury pollution and illegal trade. Mongabay Series: Amazon Infrastructure. Damseaux F, Kiszka JJ, Heithaus MR, Scholl G, Eppe G, Thomé JP, Lewis J, Hao W, Fontaine MC, Das K., (2017). Spatial variation in the accumulation of POPs and mercury in bottlenose dolphins of the Lower Florida Keys and the coastal Everglades (South Florida). Environmental Pollution, 220, 577–587. Markey KL, Baird AH, Humphrey C, Negri AP 2007, ‘Insecticides and a fungicides affect multiple coral life stages’, Marine Ecology Progress Series, vol.330, pp.127-137. Brodie, J., Ariel, E., Thomas, C., O’Brien, D., Berry, K., (2014). Links between water quality and marine turtle health - A Technical Report to the World Wildlife Fund. Centre for Tropical Water & Aquatic Ecosystem Research. Coghlan, A., (2002). Extreme mercury levels revealed in whalemeat, New Scientist. Stoneburner, D.L., (1978). Heavy metals in tissues of stranded short-finned pilot whales. The Science of the Total Environment, 9(3), 293-297. Giroux, M., (2016). Accumulation of Heavy Metals in a Group of Stranded Long-finned Pilot Whales in Scotland, Whales Online. European Commission. (2014). Albatrosses’ survival seriously threatened by mercury and pollutants. Issue 387.